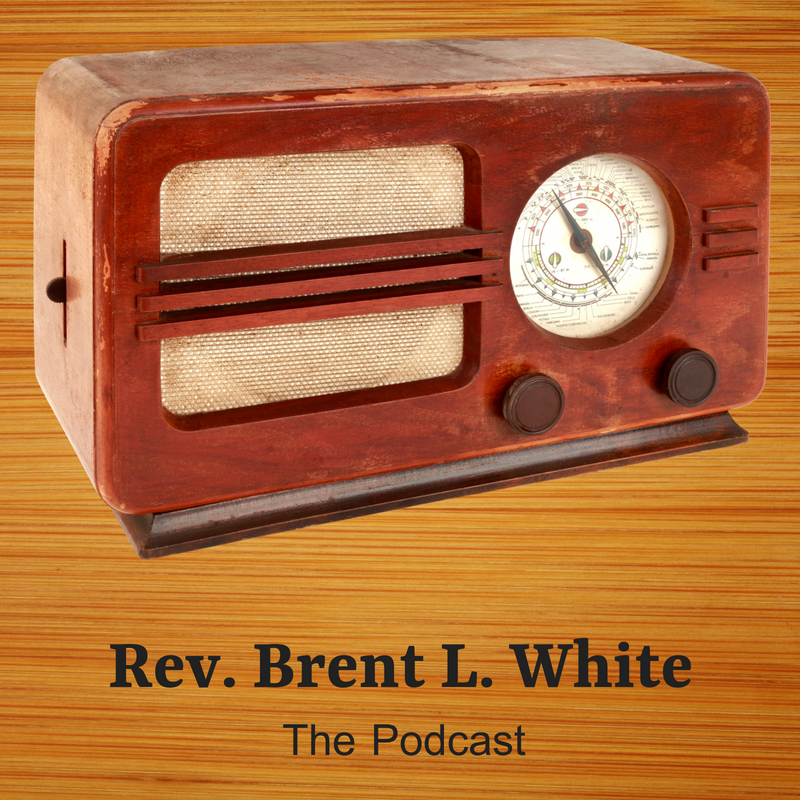 In this lengthy podcast episode, the first of two on the subject, I tackle the question of the authority of scripture. We hear many authorities in our culture—even within today’s Church—telling us, in so many words, “The Bible can’t be trusted.” As I argue in this episode, you may as well say, “God can’t be trusted,” because it’s clear from Jesus’ own teaching that the Bible is God’s Word. I want us instead to “listen to what the man said” and regard scripture the same way Jesus himself did. I want this episode, along with the next one, to serve as an antidote to the skepticism about the Bible that is rampant in our culture and is harming our fellow believers—especially Christian young people. Hi, this is Brent White. It’s Monday, September 17, 2018, and this is episode number 30 in my ongoing series of podcasts. You’re listening right now to a #1 hit song from 1975 called “Listen to What the Man Said” by Wings—written and sung, of course, by Paul McCartney from the album Venus and Mars. And the reason I wanted to play this song is that I have discerned a troubling trend among my fellow Christians, not least of which my fellow United Methodist clergy: And that is, they often say that when it comes to the Bible, we need to “listen to what the man said”—the “man” in this case being Jesus—and not necessarily pay close attention to what the rest of the Bible says. Especially the Old Testament! They often speak as if the God revealed in the Old Testament isn’t quite the same as the God revealed in “the man,” Jesus. Therefore we can’t quite trust what the Old Testament has to say. If you don’t believe me, consider Luke chapter 24. This is Easter Sunday. Two disciples of Jesus were on their way from Jerusalem to their hometown of Emmaus—about a seven-mile journey. The resurrected Jesus appears to them on the road, but, Luke tells us, “their eyes were kept from recognizing him.” Jesus asks them what they’ve been talking about. They explain to him the shocking events of Good Friday and how, today, on Sunday, they heard the reports from the women who went to the tomb: that it was empty, and that angels appeared to them and said that Jesus had been raised. These two disciples were confused; they didn’t know what to make of any of this. Jesus said, in verses 25 and 26, “O foolish ones, and slow of heart to believe all that the prophets have spoken! Was it not necessary that the Christ should suffer these things and enter into his glory?” Then in verse 27, Luke writes, “And beginning with Moses and all the Prophets, he”—that is, Jesus—“interpreted to them in all the Scriptures the things concerning himself.” Did you hear that? “Beginning with Moses and the Prophets”—which is shorthand for the entire Bible—Jesus interpreted “in all the Scriptures the things concerning himself.” So: they were walking on the road for about two-and-a-half hours. Assuming Jesus was with them for most of the way, then he must have spoken to them for a long time about what the entire Old Testament had to say about him. Right? There must be a great deal of information in the Old Testament about who Jesus is, why he came, what he accomplished, what his gospel means! In spite of this, I have actually had United Methodist pastors tell me, “I don’t like preaching from the Old Testament.” Why? “Because I like preaching Jesus.” Aye-yai-yai… I like preaching Jesus, too. And I like preaching the gospel. And I do so in every sermon I preach—whether my sermon text is from the New Testament—be it the four gospels, or Acts, or the Epistles, or Revelation—or from the Old Testament. Because, as I’ve said before, I find Jesus—and I find his gospel message—on nearly every page of the Old Testament! In fact, I would venture to say that if you don’t find Jesus and his gospel there, you’re probably not reading it right! This is difficult doctrine but, I wouldn’t go so far as to say that the Law is no longer relevant. Jesus held the Law in great regard. After all, it came from God. 17 It is easier for heaven and earth to disappear than for the least stroke of a pen to drop out of the Law. I believe that what Jesus did was nail the condemnation, or curse, of the Law to the cross. He saw that the Jews had created a theocracy, under which the Law became not just a way to live, but also a system of judgement. No one could fulfill it all, so He did, thereby satisfying it in the true sense it was intended. The Law cannot save us. We are no longer slaves to the Law. But, if we are saved in Christ, then a great deal of the true meaning of the Law will be reflected in our behavior. I do agree that the “ceremonial” aspects of the Law are no longer applicable to us. We are saved by the blood of Jesus, and by nothing else. To this comment, Tom Harkins and I heartily agreed. Based on @AndyStanley’s sermon, I’m guessing he has found himself a bucket or three. This was a reference to United Methodist pastor Adam Hamilton’s infamous “three buckets” approach to the authority of scripture. Also, it’s incomprehensible to me that Jesus, who warned that “until heaven and earth pass away, not an iota, not a dot, will pass from the Law until all is accomplished,” would agree with Stanley that the Old Testament can collapse like a house of cards and we would still have Christianity. We simply don’t know who Jesus is, why he came, what he accomplished, and what’s at stake in believing in him apart from God’s revelation of himself in the Old Testament. Consider Jesus’ words to the disciples on the road to Emmaus in Luke 24. “And beginning with Moses and all the Prophets, he interpreted to them in all the Scriptures the things concerning himself.” It would have taken at least a couple of hours to walk that distance from Jerusalem to Emmaus: the Old Testament has a lot to say concerning Jesus. That seems like bait-and-switch to me. It seems like something less than the full truth. It seems like a dubious way to make disciples—sowing seeds of doubt about the authority of God’s Word before these would-be disciples have even started being disciples! It feels like he’s selling the gospel to the lowest bidder, doesn’t it? It’s understandable, perhaps, that from Stanley’s Christian tradition, which tends toward legalism and self-righteousness (whereas mine tends toward Pelagianism; all traditions tend toward something bad), he doesn’t perceive this problem. But speaking as an evangelical in a Mainline tradition, which often lightly regards the authority of scripture, I certainly do perceive the problem! Moreover, while I love Christian apologetics and believe they can play a useful and necessary role in conversion, ultimately it isn’t Stanley’s job to argue anyone into God’s kingdom. The gospel itself has its own power, through the Holy Spirit, to convict, convince, and convert God’s elect (cf. Romans 1:16). I would encourage Stanley to be committed to telling the whole truth and let God do the heavy lifting. Do Jesus’ words in Matthew 5:20, “Unless your righteousness exceeds that of the Pharisees, you will never enter the kingdom of heaven,” contradict our Protestant understanding of justification by faith alone? To answer that question, we need to understand what Jesus is saying in verses 17-19. 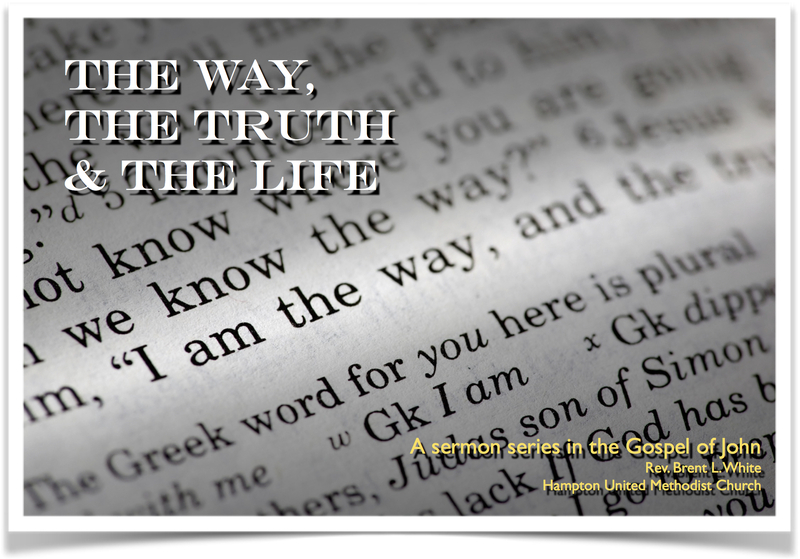 This sermon explores these verses. In the process, I talk about the inspiration of scripture and the way in which Jesus fulfills the Old Testament. 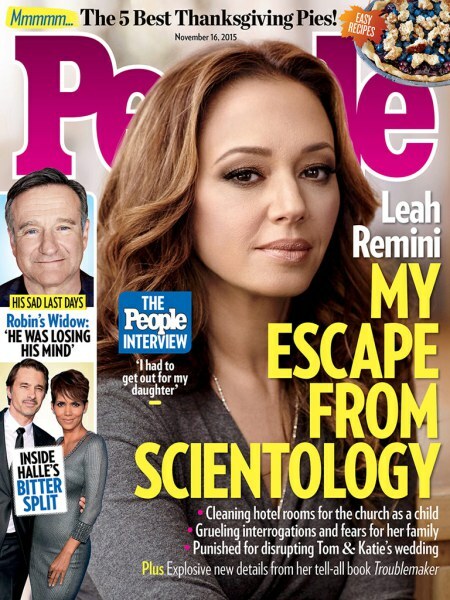 Leah Remini, the actress who played Doug’s wife, Carrie, on the TV show King of Queens for many years made news in 2013 when she announced to the world that she was leaving the Church of Scientology—after being an active member of the cult for 35 years. Over the past couple of months, she produced an eight-part documentary on the A&E Network about Scientology—and the great harm it does to its followers. Which is kind of brave—because they have an army of lawyers and private investigators and more money than they know what to do with. They will use these resources to try to ruin your life! As Remini describes in the documentary, the path to spiritual enlightenment that scientology promises involves spending basically all your time and all your money on classes, books, and so-called “auditing” sessions. All together, she estimated that she spent nearly $5 million on Scientology. Is your view of scripture’s inspiration consistent with Jesus’ and Paul’s view? Now, when Jesus refers to the “Law and the Prophets” in verse 17, or even “the Law” in verse 18, Bible scholars tells us that this is shorthand for saying, “the entire Bible”—which at the time was what we would call the Old Testament. And he’s saying two very important things about the Bible. First, he’s saying that the Bible—every word of it—is given to us by God. And every word of it matters. That’s what Jesus believed. Why do I say that? Well, notice Jesus refers to “an iota” and a “dot.” Jesus would have been referring to tiny strokes in letters of the Hebrew alphabet. But for us that “iota or dot” would be similar to the crossing of a “t” or the dotting of “i” in our own alphabet—or putting an apostrophe or a punctuation mark in the right place. Or distinguishing a lowercase “q” from a lowercase “g” by adding a curl to the end of the stem. That’s the level of detail that Jesus is talking about. And he’s saying, in so many words, that God cared about each of those details in the Word that he gave us. The end result of all this, as New Testament scholar N.T. Wright said, is that God ensured that we the Church have exactly the Bible that God wanted us to have. From here, I talked about recent controversies surrounding Andy Stanley’s words about the Virgin Birth and Adam Hamilton’s “three bucket” approach to scripture. In my view, neither of their viewpoints is compatible with Jesus’ own view of the inspiration of scripture. I’m starting a Bible study tonight on Galatians, and I was reminded that Paul’s argument in Galatians 3:15-18 depends on a close reading of two verses in Genesis. Unless we believe that Paul was wrong, and such a reading was unwarranted, then what does that say about our view of inspiration? Gal. 3:16 God spoke promises to Abraham on several occasions, but probably Gen. 13:15 and 17:8 are particularly in view. And to your offspring. Paul knows that the singular (Hb. zera‘) can be used as a collective singular that has a plural sense (he interprets it in a plural sense in Rom. 4:18). But it also can have a singular meaning, and here Paul, knowing that only in Christ would the promised blessings come to the Gentiles, sees that the most true and ultimate fulfillment of these OT promises comes to one “offspring,” namely, Christ. Paul’s willingness to make an argument using a singular noun in distinction from its plural form (which occurs in other OT verses) indicates a high level of confidence in the trustworthiness of the small details of the OT text. On Andy Stanley and the Virgin Birth: selling Christianity at the cheapest possible price? 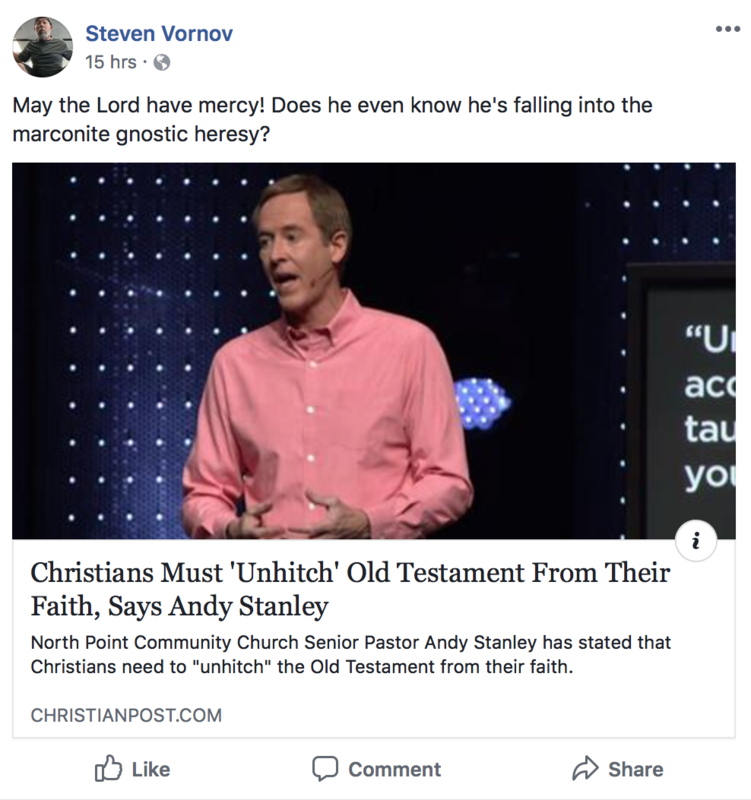 In the week after Christmas, while I was enjoying vacation time with my family and mostly away from this blog, another controversy about something Andy Stanley said (see here for an earlier one) erupted, this time over whether or not the Virgin Birth is “essential” for saving faith. I’ve had this discussion many times. Mark says nothing of it. John seems to know nothing about it. Paul’s letters seem to know nothing about it. Mark and Paul’s letters all predate Matthew and Luke. Matthew and Luke do not tell the same narrative either. To be clear, I do believe Jesus is God incarnate. How it came to be is not clear other than saying “God did it.” What is essential is that Jesus came. The particulars on how can be debated and not mean a thing to me. Spoken like a fellow victim of liberal mainline Protestant seminary. I sympathize. But what do these words imply about his view of scripture? He says he believes that Jesus is God incarnate. Is his confidence based on something other than what the Holy Spirit has revealed in scripture? Did the Spirit err when he inspired two of its gospel writers to give accounts of a virginal conception and thus mislead two millennia of faithful Christians? How fallible does my colleague think the Bible is? Is this really a debate (as always) over a doctrine of scripture? Of course Isaiah 7:14 prophesies the virgin birth. The debate over whether Isaiah intended to say “virgin” or “young woman” (given that the underlying word in Hebrew could mean either) was settled the instant the Holy Spirit inspired Matthew to tell us in God’s Word that the Septuagint’s translation was the correct one. Case closed. Read Pope Benedict’s words on the Isaiah passage in his excellent book on Christmas. He’s no slouch in the Bible department. And he’s not exactly a raging fundamentalist. Whether the virginal conception is essential is beside the point. Did it happen? Yes—unless we jettison any meaningful understanding of the inspiration of scripture. You say that the two accounts [in Matthew and Luke] don’t agree. But they do agree on a virginal conception and Jesus’ birth in Bethlehem. Their differences, which have been harmonized, for example, even by Adam Hamilton, imply that Matthew and Luke are working with independent sources. Historians would say that that makes the event itself (which both gospels agree on) more likely rather than less so. By this, I was referring to Mark’s unusual “son of Mary” reference in Mark 6:3 and the words of Jesus’ opponents in John 8:41: “They said to him, ‘We were not born of sexual immorality. We have one Father—even God. '” It’s possible, if not likely, that the Pharisees are referring to rumors surrounding Jesus’ controversial birth. For all we know, Paul knew nothing about the Virgin Birth when he wrote the letters we have in the New Testament. (But what about Galatians 4:4?) As my colleague says, his letters are early. Mary herself would have been the only source for much of the material in the infancy narratives, and we don’t know when she told the apostles and Luke (who surely used Mary as his source). At best, it’s an argument from silence. Assuming Paul didn’t know about it, once Matthew and Luke wrote their gospels, does my colleague believe that Paul would have disputed the truthfulness of their accounts? Worse, does he think that Paul would have doubted that God could have performed this miracle on scientific grounds? Also, people in the first century knew the facts of life as well as we do: women didn’t conceive children without human fathers—which is why Joseph originally decides to divorce Mary: he doesn’t believe her story. Why would he? My point is, that Matthew (and Luke) include the Virgin Birth anyway suggests that they really believed it happened. This “pious legend” idea is a product of the modern imagination. As NT Wright points out, prior to Jesus, no one knew that Isaiah 7:14 was a messianic prophecy that needed fulfilling. It wasn’t on anyone’s messianic radar prior to Matthew’s gospel. Why is it difficult to believe in the first place? We already believe God created the universe and everything in it. That’s a rather large miracle that we have to accept right off the bat. Not to mention our belief—I assume even among most progressive UMC’ers—that Jesus was bodily resurrected. The main question is, can God’s Word be trusted? If it can’t be trusted when two of four gospels (each using independent sources, by the way) report a virginal conception, we have larger problems with the credibility of Christianity than the Virgin Birth. Again, I’m not arguing the virgin birth. Stanley, in this sermon, is trying to help seekers (or those struggling with various doctrines) recognize what’s most important and to understand that something like the virgin birth doesn’t make or break your relationship with God nor your ability to be transformed by Christ. He’s talking here about a starting point. Who among you would tell a person that their belief in the resurrection of Jesus Christ and their belief in the incarnation doesn’t matter if he or she still doesn’t believe in the virgin birth? But if someone already believes in the resurrection and the incarnation, I would ask them on what basis they would reject belief in the Virgin Birth. Then I would gently challenge them to reconsider their skepticism, in part by questioning these very harmful assumptions of modernity that underlie it. I wouldn’t teach them that’s it’s “optional” to believe what scripture clearly teaches and the historic Creeds affirm. I’m sure Stanley’s heart is in the right place, but our goal is to make disciples, not to sell Christianity at the cheapest possible price. What kind of disciples would we be making who reject the authority of God’s Word—the only sure basis on which we know anything about Jesus Christ in the first place? And I’ll anticipate your objection by saying that personal spiritual experience, however valuable, can teach us nothing about Christ that isn’t also revealed in scripture. Later, I implicitly relate this controversy to the one that will likely cause a schism in our denomination in 2019. As I said earlier, the authority of scripture—as always—is at stake in the question. If the Virgin Birth becomes optional, well… there are many more difficult things in the Bible where that doctrine came from. What will this lightly-formed disciple do with the rest of it? In the sermon I posted yesterday about witnessing, I argue that the proclamation of the gospel possesses its own power—through the Holy Spirit—to change lives. Therefore, if our efforts to witness never include a deliberate proclamation of the gospel, we are robbing our witness of power, and we shouldn’t be surprised when we fail to make converts. As I’ve said before on this blog, the vast majority of church growth—especially once you subtract confirmations or baptisms of children who already go to church—is “sheep-stealing”: already-Christian people leave one church to join another. Do you see the point: The gospel itself has power. God has made it to be that way. God calls people through our gospel proclamation. If we aren’t proclaiming the gospel to people, then we shouldn’t be surprised that we’re not making disciples! [pick up smartphone] If we as a church aren’t sharing the gospel as our number one priority, it’s like we’ve spent money and resources to build this amazing device but we’ve removed the battery… or we’ve disconnected the power supply… This may be the greatest thing people would ever experience, but they’ll never know because all they have is this blank screen! It’s not working! There’s no power! They need power. And the gospel of Jesus Christ is the power they need! I was heartened to read that John Piper, in his irenic yet critical assessment of Andy Stanley’s recent sermon “The Bible Told Me So,” makes a similar point. As important as it is to clear away intellectual hurdles that prevent people from believing in Christ, mere intellectual assent can’t bring someone to saving faith. What young preachers need to be clear about in deciding how they will preach is how God planned for the glory of Christ to be revealed to more and more people as the centuries pass. When Stanley says, “For the first 300 years the debate centered on an event, not a book,” that’s not quite right. The debate centered very largely on which written witnesses provided a trustworthy interpretation of the event. The church realized immediately that everything hung not just on whether the event happened, but on what it meant: What were its roots, and accomplishments, and implications for life and eternity? Who was this man, Jesus? Whom can we trust to tell us? How then shall we live? Who can tell us this with authority? That was the issue, not just the event. God was kind enough to bring those authentic, long-trusted Gospels and Epistles together in the New Testament in due time. But their trustworthiness and authority were functioning from the middle of the first century onward. And the most significant reason God provided these Gospels and Epistles from the beginning was so that the compelling beauty and worth of Christ would shine through these God-given writings. That is how people came to faith. They saw the glory of Christ shining through the writings God had given — or the oral heralding or reading of them. Therefore, what I am suggesting is that in our present New Testament we have the consummation of God’s demonstration of the beauty and worth of Christ. It is God’s own complete portrait of the glory of his Son — the meaning of his work from eternity to eternity, and its implications for human life. So my concluding suggestion is this: join Andy Stanley in caring deeply about winning “post-Christians”; join him in moving beyond simplistic and naïve-sounding shibboleths; join him in cultural awareness and insight into your audience; join him in the excellence of his teaching and communication skills; and join him in his belief in the complete truthfulness of the Bible. And then spend eight years blowing your people’s post-Christian circuits by connecting the voltage of every line in the book of Romans with their brains. When it comes to preaching, nothing is more powerful and self-authenticating than the Spirit-anointed, passionate, expository exultation over the inspired text of Scripture. If you don’t believe that, perhaps you have never seen such preaching. Do you believe this? I do—although I confess I haven’t always acted like I do. But that changes now: My invitation at the end of the sermon I quoted earlier was to invite members of our church to join me in creating a “witness team.” In fact, we’re having our first meeting tonight. I don’t know who or how many will show up. But we’re going to discuss ways in which our church can share the gospel in a more deliberate way with people outside of our church—starting this weekend, when literally hundreds of people from our community will be on our church property for our annual “Trunk or Treat” festival. 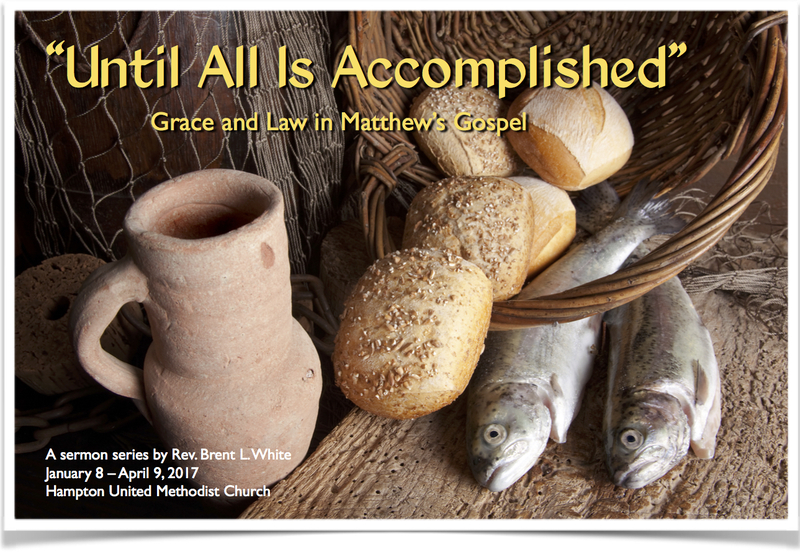 For starters, I’ve ordered a couple hundred tracts from Crossway. I’ve also ordered some pocket-sized New Testaments to give away to visitors. Please feel free to share your thoughts and insights. I wrote a blog post a month ago criticizing this meme, taken from a recent Andy Stanley sermon aimed at unbelieving millennials who reject the authority of scripture. My little post was a drop in the ocean: many prominent pastors and theologians have also weighed in. In fact, the overwhelming negative reaction compelled Stanley himself to respond here. His response defends his preaching methodology against critics and assures us that he is an inerrantist. I’m sympathetic with what this writer says, but read the first comment: Stanley was wrong about what the earliest Christians believed about the Bible. This seems to me beyond question. If he wanted to argue (as I know he has in the past) that the historicity of the resurrection proves that Jesus was right about the Bible and therefore the Bible is true, then he can make that argument. But his words about the early Christian view of scripture (which he either misunderstands or misrepresents) don’t bolster that argument. While there are good historical reasons to believe in the resurrection independent of belief in the inspiration of scripture, the apostles rarely if ever proclaimed the resurrection apart from how it fits in the Bible’s grand narrative. It was never one or the other. If Stanley wants to teach college kids apologetics, more power to him. But I don’t think the best strategy is to minimize the authority of God’s Word. He’s getting flak right now because that’s what he’s done—whether he intended to or not. If he’s as prone to misinterpretation as you suggested earlier, then he ought to work on speaking clearly. He hopes that people will follow Jesus first and believe the Bible later. What I fear will happen instead is that, like my particular tribe of mainliners, they’ll follow a “Jesus” who often bears little resemblance to the Jesus of scripture. After all, I’m often told, Jesus is the Word of God, not the Bible. Stanley only sees the problem through the lens of disaffected former evangelicals or fundamentalists who’ve left the faith or rejected many of its traditional doctrines. (I’m looking at you, Rachel Held Evans.) I guess he knows from whence he speaks. But for what it’s worth, I’m part of a Christian tradition that, generally speaking, hasn’t held to a high view of scripture in its recent history. To say the least, it hasn’t helped us reach the lost for Jesus Christ. Stanley says in his response that he’s been called a heretic by people who misunderstand his view of scripture. They’re wrong, obviously. But while we’re hunting for heresies, why not start with old-fashioned Pelagianism? No millennial, despite how clever we preachers address their doubts, will come to a saving faith in Jesus Christ apart from God’s grace (see, for instance, John 6:44). What role, I wonder, does Stanley believe the Holy Spirit plays in his efforts to reach millennials? When Stanley writes about reaching the lost in his book Deep & Wide, as in his recent article, does he ever discuss the work of the Spirit? Stanley states, “Christianity made its greatest strides during the 282 years before the Bible even existed.” In other words, between 30 and 312 AD (when Constantine became emperor), Christians did not really have a Bible they could use and quote from. This entire reconstruction is deeply problematic on a number of levels. For one, Christians did build the Christian faith on the back of the “the Bible says, the Bible says.” They did this because they already had the Old Testament Scriptures from the very start. As observed above, the apostles in the early church repeatedly cited the Old Testament Scriptures as a basis for their beliefs. As for the New Testament, these books were also functioning as Scripture very early. Even in his own day, Paul’s letters were read and copied as authoritative apostolic documents that the church was supposed to obey and follow (e.g., 1 Cor 14:37; 1 Thess 2:13; 2 Thess 2:15). 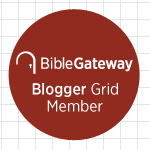 Even other New Testament letters viewed Pauls’ books as “Scripture” (2 Pet 3:15-16). This pattern continued in the second century where we see a “core” collection of New Testament Scriptures—four Gospels, Paul’s thirteen letters, Acts, and a handful of other books—functioning as the Word of God in local congregations. They were being read, copied, and cited as Scripture alongside the Old Testament. These New Testament books were even used as the basis for preaching. So, when Stanley says there was no “Bible” during this time period, and that Christians were not using the Bible, that is simply not the case. On the contrary, the early church was very textually centered and scripturally oriented (for more, see my The Question of Canon). Perhaps Stanley could respond by saying that there was no “Bible” in the sense that all the Old and New Testament books were bound in a single volume you could pick up and hold. He is technically correct that we do not have a single volume like that until the fourth century. But, it is unclear why that matters. Just because all these books were not bound in a single volume did not mean they were not known and used as Scripture. After all, in Jesus’ day the Old Testament books were not bound together in a single volume. And yet it was clear that there was an Old Testament canon during that time which both Jesus and the apostles regularly used. Did Christians really believe that Jesus loved them before the Bible told them so? Can someone tell me what this quote means in context? 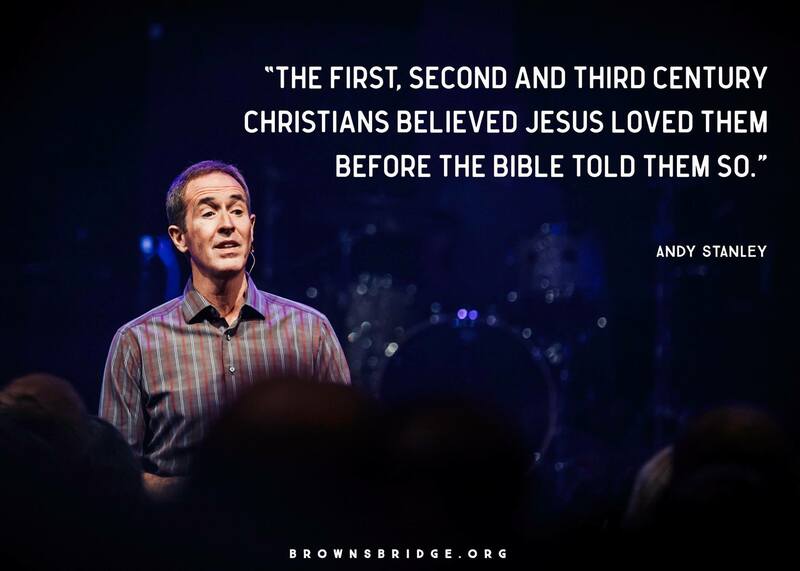 My guess is that Andy Stanley is trying to vouch for the historicity of events and teaching later compiled in the books of the New Testament. Out of context, however—which is the way the vast majority of people will read it—it sounds as if Stanley is denigrating the authority of scripture. I’m sure he would say that old-fashioned Bible preachers like me are bound to misunderstand him. We’re part of the problem. We’ve been preaching and teaching wrong for decades, at least. But seriously, how is this quote even true? First, Christians in the first three centuries had the Old Testament, which they believed did tell them that Jesus loved them—even if it didn’t use his name. Indeed, the Christian movement wouldn’t have gotten off the ground to begin with if the apostles didn’t believe wholeheartedly that Christ was the fulfillment of scripture. Read Peter’s sermons in Acts: they are all about the Bible. Second, churches had copies of at least some gospels and epistles. Third, even if they didn’t, they had apostolic teaching, which the Holy Spirit ensured would be written down and compiled in our New Testament. If his point is that Christians didn’t have a book in their hands called “The Holy Bible,” well, that’s true, but only trivially so. Absent anyone teaching people that Jesus loved them—and what that means and why it matters—who would know it, or care? While we often romanticize the early church, the proof from 1 Corinthians is that the church was as messed up in the first century as it is today. And like the Corinthian church, we also struggle with what Paul calls the “foolishness” of the cross. 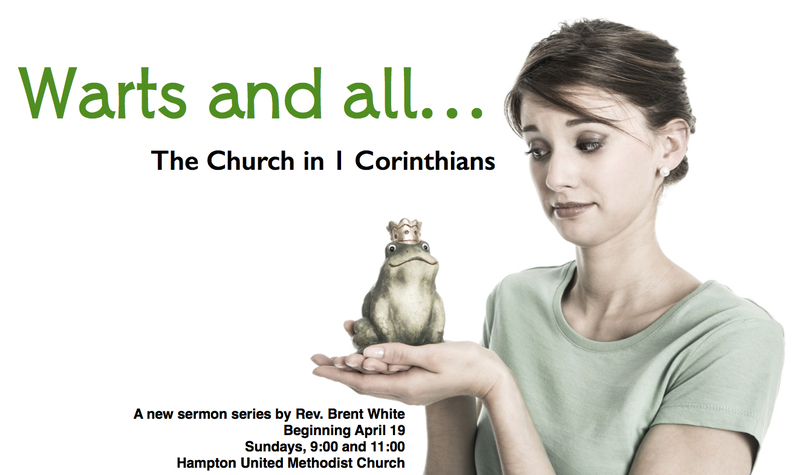 This sermon explores how and why that’s true. 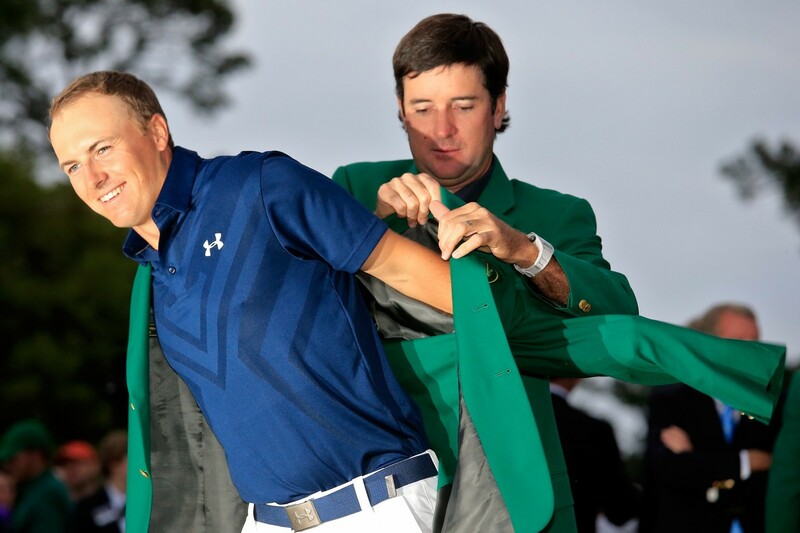 Jordan Spieth winning the coveted green jacket. 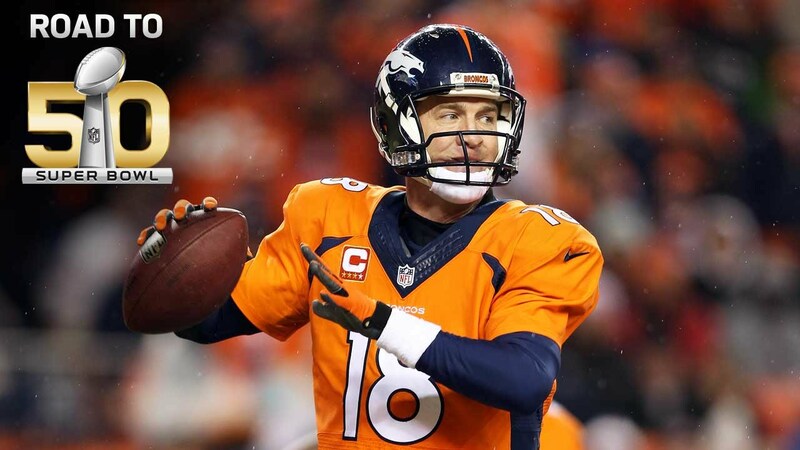 So last Sunday I was rooting for the old guy. Mickelson is my guy. Many people were rooting for the new guy. Spieth is their guy.